Grand Central Life & Style, an imprint of Grand Central Publishing, has acquired a cookbook by New York-based French chef Daniel Boulud. The cookbook, My French Cuisine, is scheduled for publication in Fall 2013. Bill Buford, author of Heat, will contribute a foreword and several essays about Boulud and French cuisine. Boulod will tell the story of his beginnings as a chef and his signature cooking at Restaurant Daniel. He will offer many recipes of dishes served at the restaurant. The book will also include a special section featuring iconic French dishes, grand classics that Boulud and Buford will cook together. 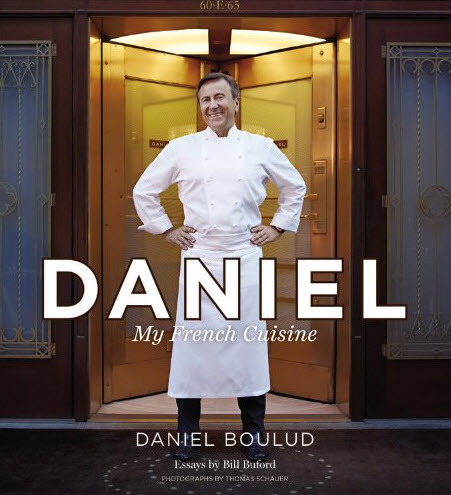 Boulod has written six other cookbooks, including Daniel's Dish: Entertaining at Home With a Four-Star Chef and Daniel Boulud's Cafe Boulud Cookbook.